The ArtFirst! Gallery in downtown Revelstoke is a grassroots co-operative of local artists who work together to offer our community a stunning selection of original pieces as well as affordable prints and cards. Each month curators focus on creating a balance with new submissions to replace sold work and highlight a Feature Artist of the Month. 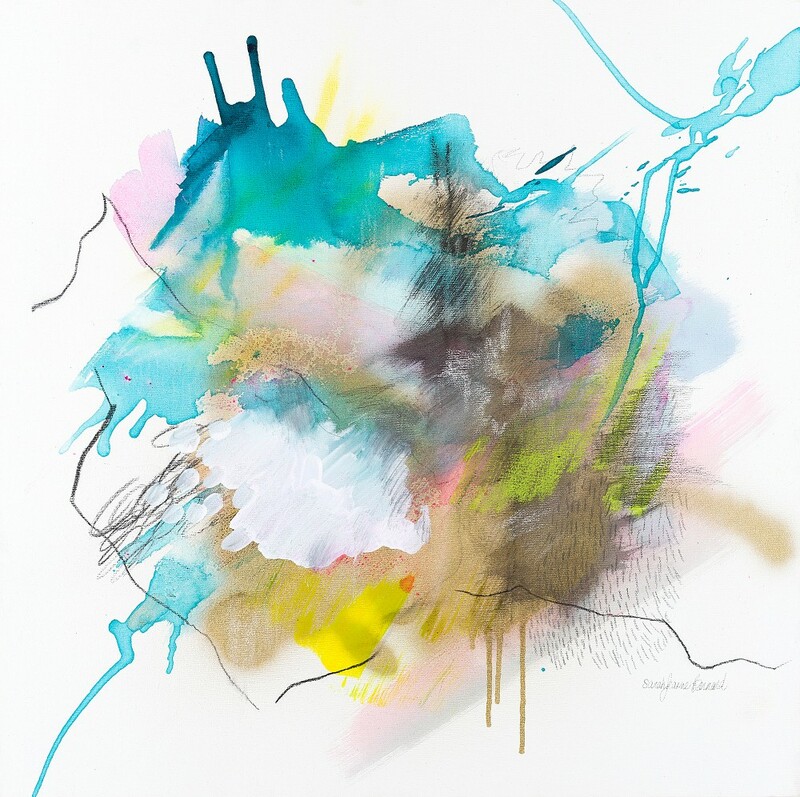 This month the gallery is showcasing the newest member of the co-op, abstract artist Sarah-Jeanne Bernard. Sarah-Jeanne Bernard doesn’t remember a time without having art as a creative outlet to express her feelings and experiences throughout her childhood in Quebec. She completed art school in 2007 and an interior design program in 2009. 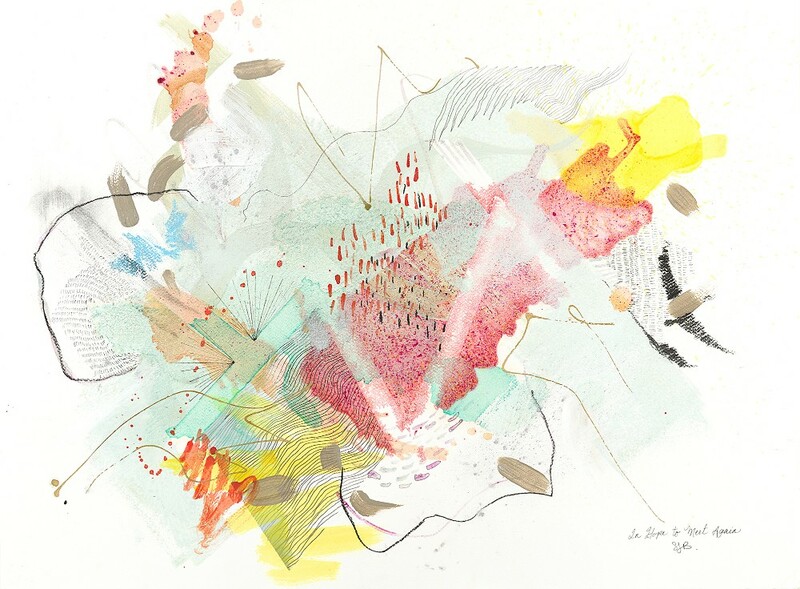 After trying many types of visual art and design techniques she has developed her own style in abstract work mixing mediums including ink, acrylic, oil sticks, charcoal, and pastels. In 2009 Sarah-Jeanne Bernard arrived in Revelstoke from a small community in Quebec knowing less than two dozen words in English. Despite this challenge she was intent on immersing herself in the language and mountain culture. A busy work life didn’t allow as much time to spend on creative projects until a year ago when Sarah-Jeanne was sick and rediscovered the therapeutic benefits of her artwork. She made a personal commitment to herself to prioritize art as a means to having a more balanced and healthy life moving forward. 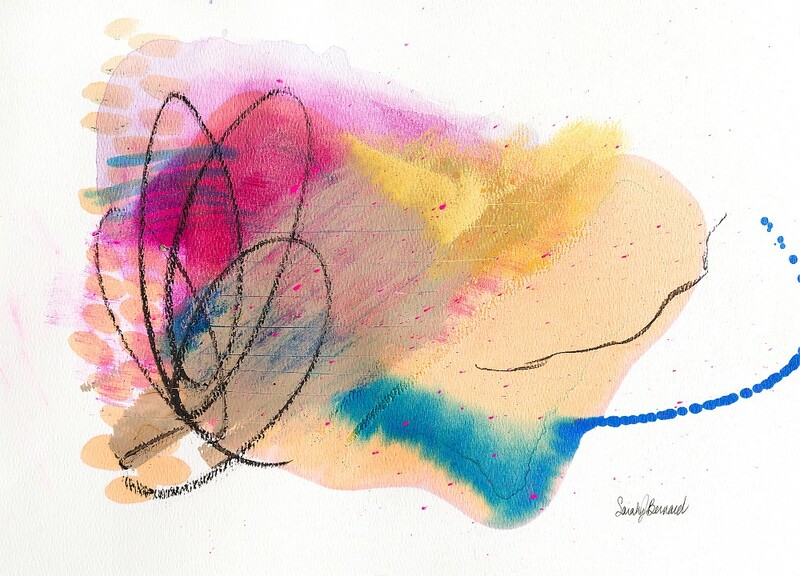 Sarah-Jeanne appreciates the freedom that abstract mediums allow as “every time it’s a new experiment. There’s no control” in the process. She enjoys working with fluids like ink and alcohol to create “layers over layers so it’s covering up work which can be counterintuitive” yet the result of waiting to approach a piece one stage at a time can lead to an unexpected and interesting outcome. Recently Sarah-Jeanne went to Iceland on vacation and described this trip as a seed of inspiration by having “a chance to disconnect and take in the landscape”. She prefers to visit new places whether it’s camping in the backcountry near Revelstoke or an overseas adventure to help spark ideas for future work. Next month Sarah-Jeanne Bernard will be creating her artwork in a new space which she is hoping will move her to express more emotions in her work. She has a keen eye when balancing colour and a bold style that intrigues the senses to absorb the layers and depth of her expression. Check out her work at ArtFirst! (113 1st St West) or contact her at sjbernard@gmail.com .